In order for a vehicle to remain in tip-top condition, it must receive the required maintenance. Although every vehicle will eventually need to have a few parts replaced, some components may prematurely fail because they are improperly maintained. 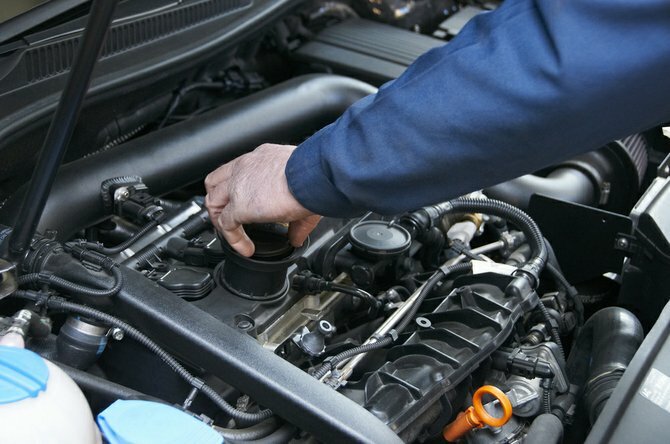 Here are some of the most common car problems that occur due to owner neglect. Fuel pumps are engineered to last for thousands of miles. Unfortunately, a fuel pump’s life can be cut short by continuously driving on a near-empty gas tank. Most fuel pumps depend on the presence of fuel to keep it cool. To avoid damaging the fuel pump, it is advisable to refuel as soon as the gas light becomes illuminated. The fuel filter also needs to be replaced periodically. The condition of the brake rotors has a direct impact on the performance of the braking system. If the brake rotors become warped, the vehicle will not be able to stop as quickly. A pulsating sensation that is felt during braking is a common sign of a warped rotor. Often times, warped brake rotors are a result of allowing the brake pads to wear down to the bare metal. To prevent this problem, the brake pads need to be replaced as soon as the wear indicator begins to squeal. Even the best-designed engines can experience carbon buildup. If the engine is allowed to idle for extended periods of time, carbon deposits may begin to form inside of the motor. Carbon buildup can cause a number of problems including hard starting and a diminished performance on the road. One way to prevent the formation of carbon is to only allow the engine to warm up for one minute in the mornings. The most effective way to warm up the vehicle is to drive gently until the engine reaches the optimum temperature. Irregular tire wear stems from a lack of maintenance. If the tires exhibit odd wear patterns, this is a key indicator that the car is due for a wheel alignment. Experts recommend that every vehicle receive a wheel alignment at least once a year. It is equally important that the tires maintain the optimum air pressure. Upon receiving a wheel alignment, most Pittsburgh Toyota maintenance facilities will also rotate the tires to ensure that they wear evenly. Although some people view car maintenance as an unnecessary expense, it actually saves a lot of money in the long run. As most people know, A Toyota vehicle can easily exceed 300,000 miles if it receives the proper care.